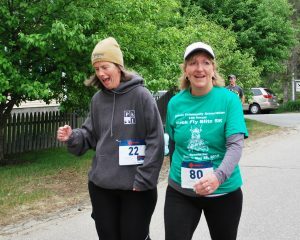 The 14th Annual Black Fly Blitz 5K Run/Walk was good fun and a great success. Runners and walkers throughout the Kearsarge/Sunapee region and beyond look forward to the annual 5K. The Black Fly Blitz 5 K Run/Walk results are in! 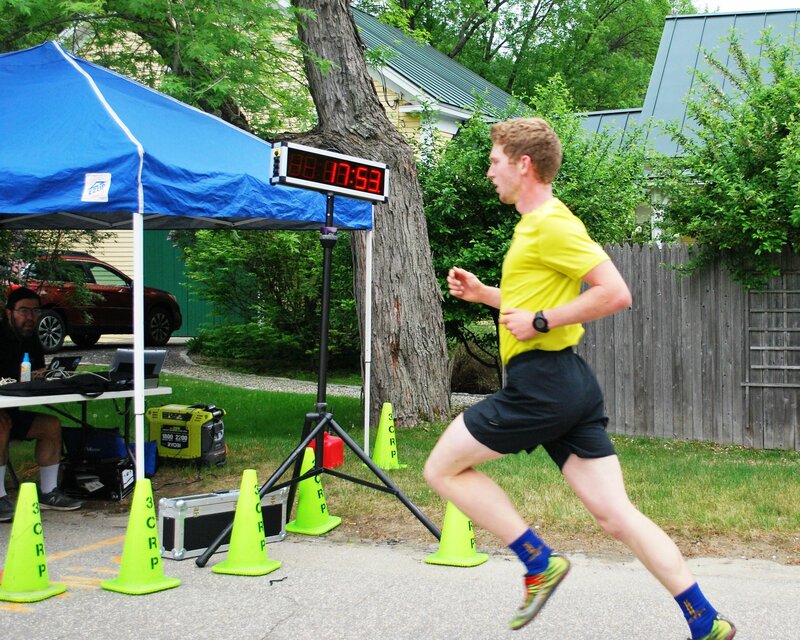 First across the finish line was Tim Cunningham of Springfield at 17 minutes 55 seconds. He was followed by his brother John at 19 minutes 13 seconds. 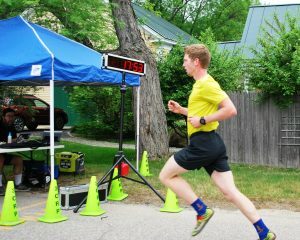 Third in was Jason Grey of Bedford, NH at 20 minutes 40 seconds. 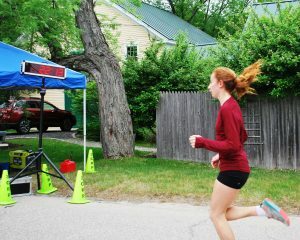 Sophia Reynolds of Andover was the first woman in at 22 minutes 16 seconds. She was followed by Molly Ellison of New London at 22 minutes 21 seconds and Beth Sprague at 22 minutes 59 seconds. 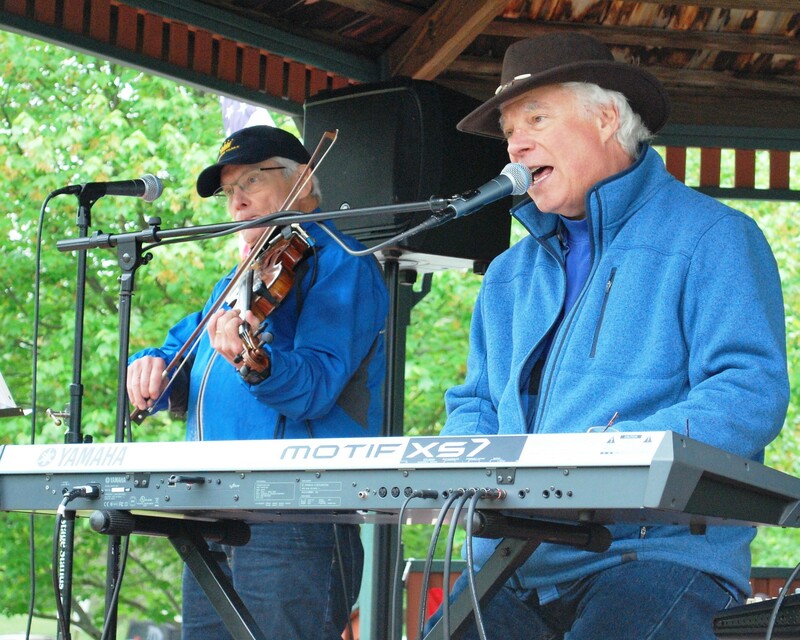 Black Fly Blitz is the WCA’s largest fundraising event. 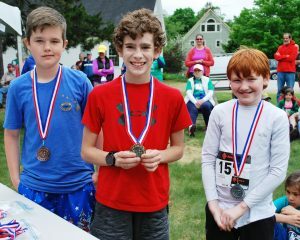 The proceeds from the 5K support the WCA’s programs and facilities.The track and cross-country teams at Kearsarge Regional High School (KRHS) receive a portion of the race proceeds. The weather was perfect for running and walking, cool and a little overcast but no rain. Even the black flies stayed away. There were games for the kids and music for all. 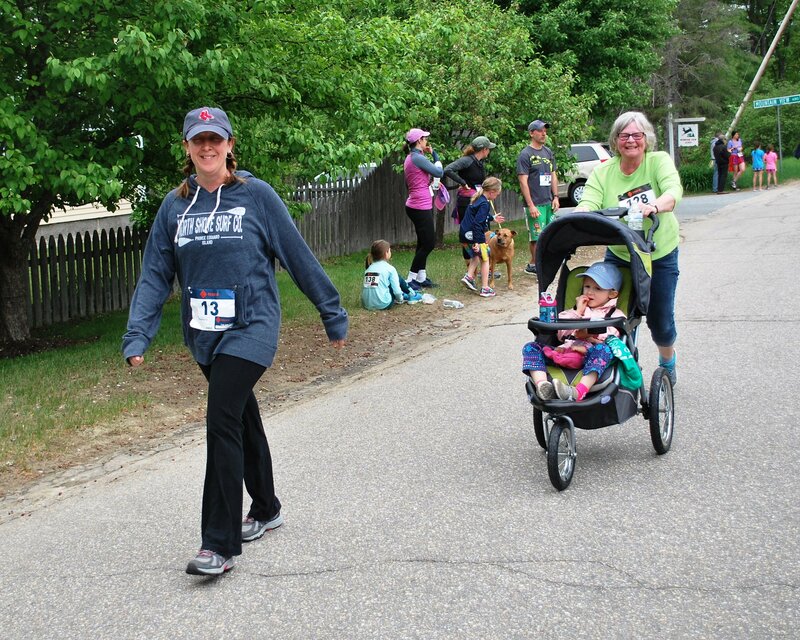 Thank you to all the runners, walkers, volunteers and sponsors. It was a great morning for all – see you again next year! This entry was posted in Black Fly Blitz, WCA, WCA Events, WCA Fundraising and tagged 5K road race, 5K Run/Walt by WCA_Admin. Bookmark the permalink.